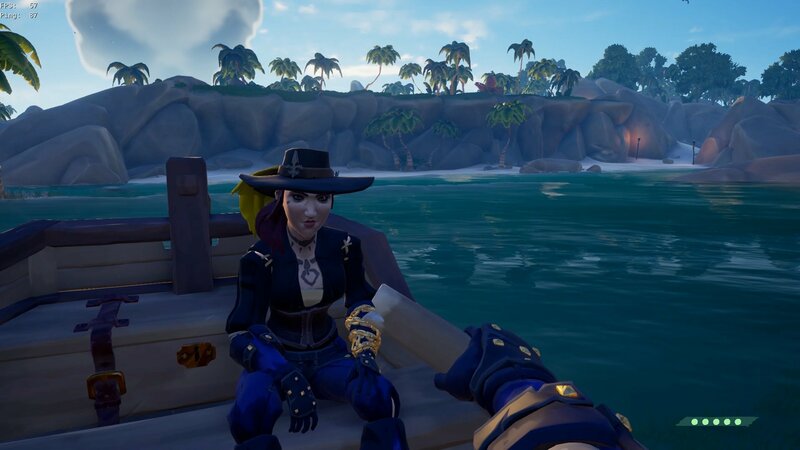 Forsaken Shores didn’t just bring a new area full of volcanoes to the world of Sea of Thieves, it also brought rowboats. These little four-person vessels add a whole new dynamic to island-hopping and searching for treasure, not to mention ship-to-ship combat. Before jumping into a rowboat, learn some of the basics of how to steer, propel, and handle a rowboat. The first time players find a rowboat and get in it will no doubt be a confusing experience involving sitting still not going anywhere. Controlling the rowboat isn’t immediately obvious, as there are no prompts for steering, let alone rowing. First thing's first, if the rowboat is on land, approach the back of the rowboat and press the on-screen button to push it towards water. Once the rowboat is actually in the ocean, the real fun begins. Each trigger controls an oar in the rowboat. For players using a controller, each of the triggers is responsible for an oar. Pulling the right trigger pulls the right oar through the water while pulling the left trigger pulls the left oar through the water. Once the oars are close to the pirate and stop moving, release the triggers to reset the position of the oars. Players will need to pull and relase both triggers at the same time in a methodical rhythm to gain and maintain speed. Use the bumpers as brakes to perform a sharp turn. As for turning the rowboat, while it is possible to turn it by simply using one oar, this method results in a large turning circle. If players want to make a tighter turn they will need to use the bumpers. The left and right bumpers are used to thrust either the left or right oar into the water, so when used together they act as a brake. To perform a tighter turn circle, players should pull one trigger while holding down the opposite bumper. Making a tight left turn would require holding the left bumper while pulling the right trigger. Unsurprisingly, to make a tight right turn requires holding the right bumper while pulling the left trigger. Players can also use both oars at the same time to gain speed and then use a bumper to perform a quasi-“handbrake manoeuvre”. Row to the rear of the ship and press the appropriate button to attach the rowboat for transportation. Outside of rowing the rowboat, players will also need to attach it to the rear of their ship, unless they want to row across the hundreds of nautical miles of the Sea of Thieves. 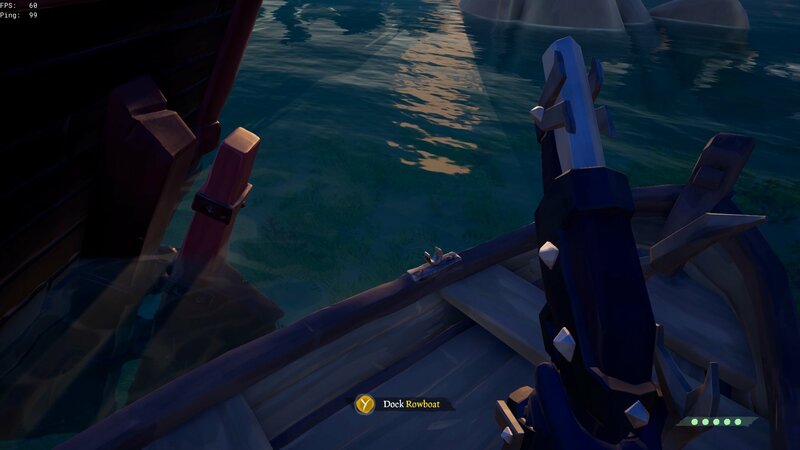 To connect the rowboat to the back of a sloop, brigantine, or galleon, simply row up to the back and interact with the rear of the ship. Alternatively, someone on the ship can interact with the rowboat to attach it. If done correctly, the rowboat will rise up out of the water and players can disembark. 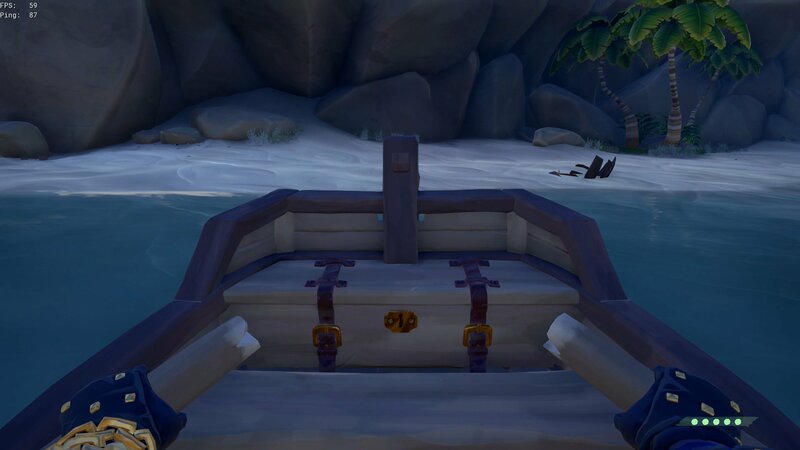 It's also worth noting that players can store supplies in the little chest on the rowboat. This chest is located under the main bench opposite the rowing position. It can be a little bit finicky to interact with, so try and learn the best place to aim to get the correct on-screen prompt. Using a rowboat is also an excellent way to reach any islands that are at risk of erupting or islands currently spewing rocks everywhere. Rowboats will also make it easier to complete the commendations for uncovering the fate of the pirates in the Devil’s Roar. Be sure to check out the Shacknews Sea of Thieves Guide and Walkthrough for more insight into the world of piracy.